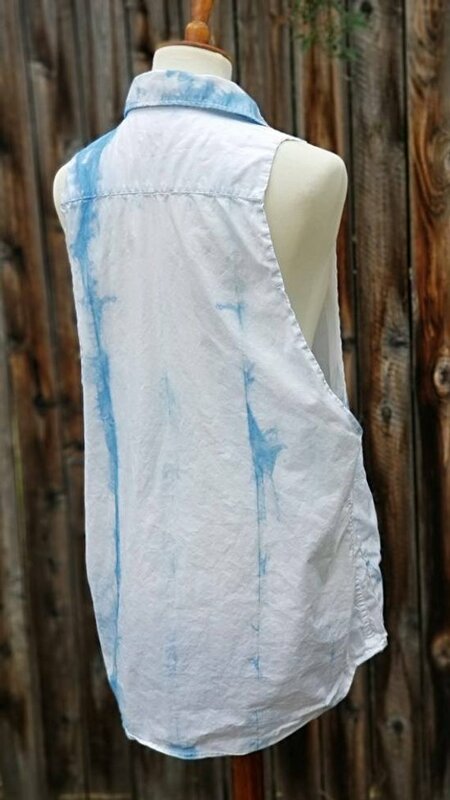 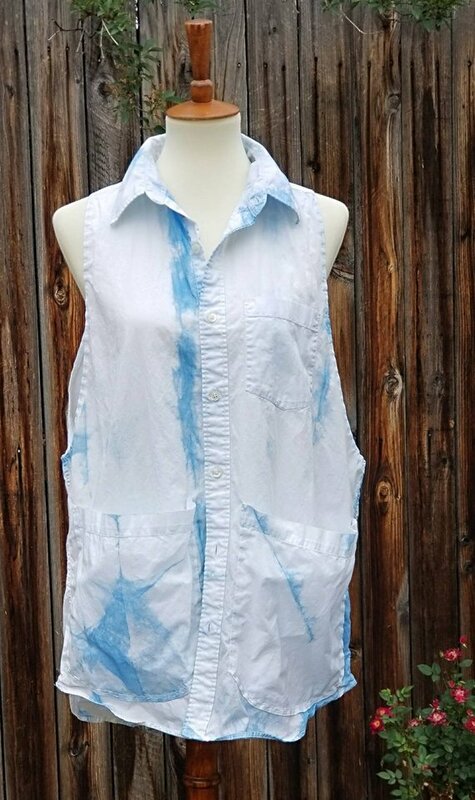 This upcycled, oversized vest/tunic was dyed by hand with indigo. 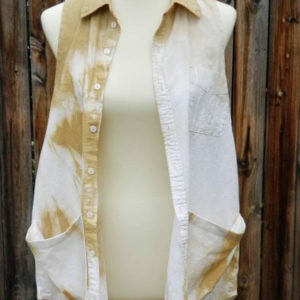 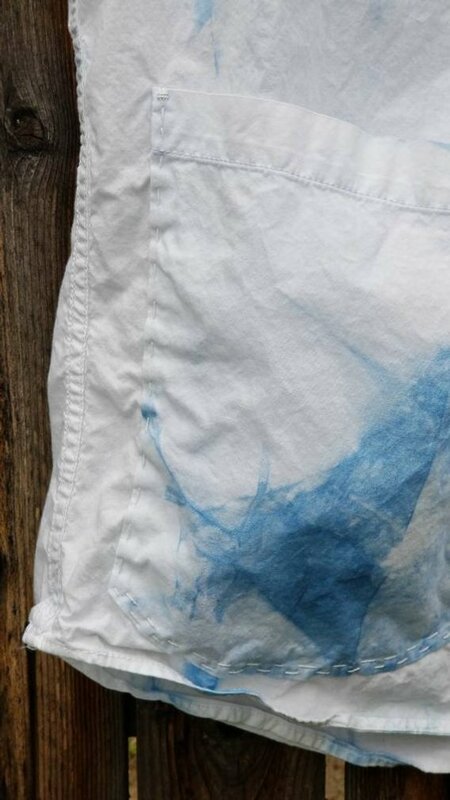 Shibori techniques were used to create the resist pattern. 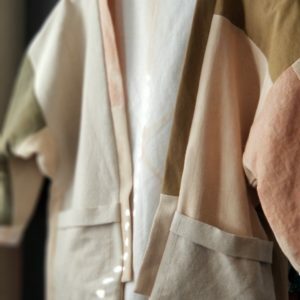 The arm holes have been hand stitched to create a clean edge. 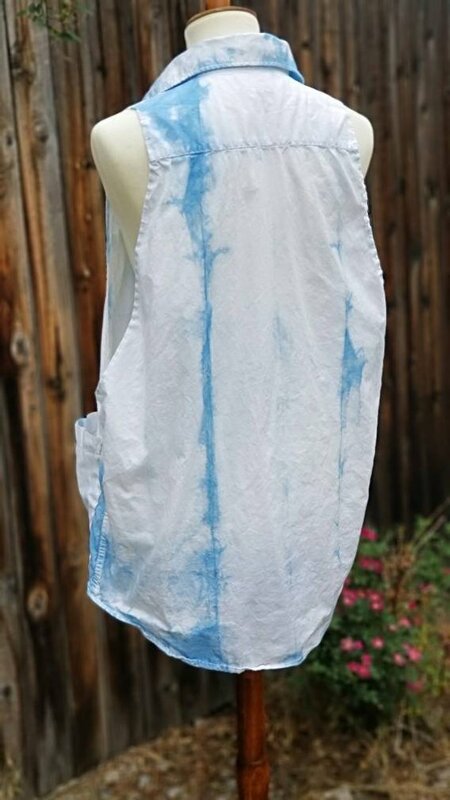 Two large, functional pockets were added at the front. 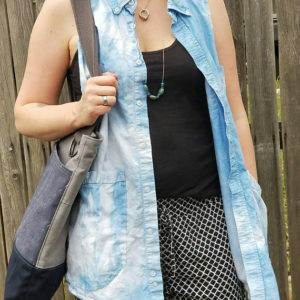 Modern embroidery embellishments have been added on the pockets.